When converting documents to PDF, it is always goal to get a possible 100% copy of the document as a PDF – it should be maintained all formatting and content, and the document should correspond to the original in terms of pagination and layout. 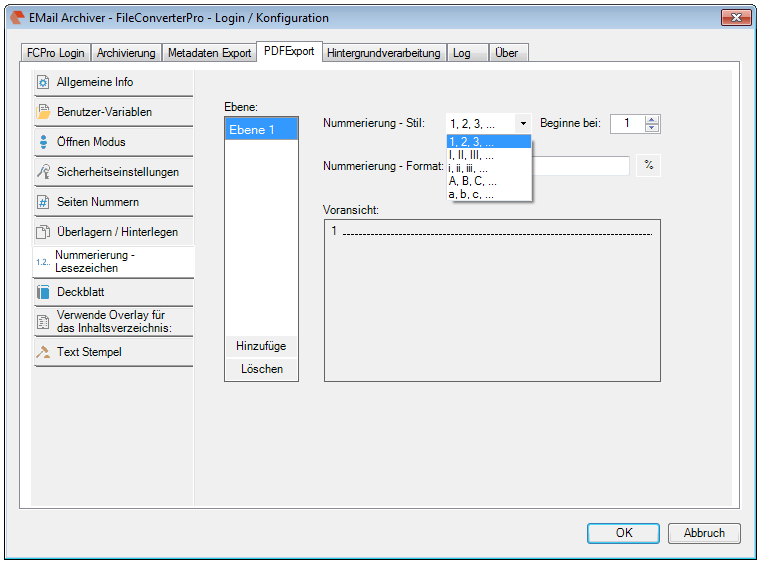 These are also the expectations when documents with the FileConverterPro to be converted to PDF (PDF / A). However, there are some things that must be observed. 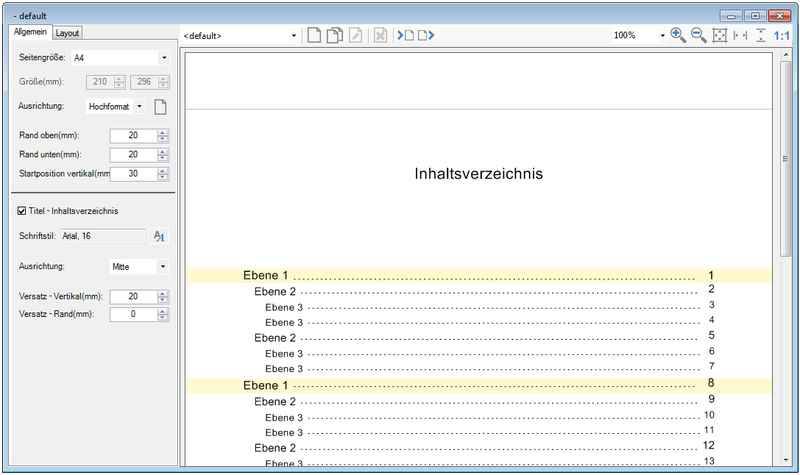 Layout / pagination in PDF is no longer true with the “original” match – What can be the reasons? 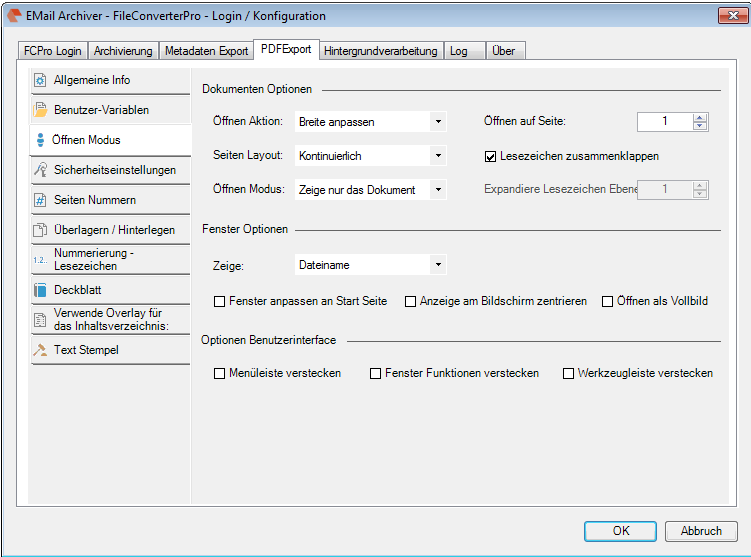 Direct or MS Office Conversion – The File Converter Pro supports two methods of conversion – on the one hand, the “direct” conversion – not MS Office but an alternative converter is used, which is capable of all MS Office to read formats and without an installed MS Office application to convert directly to PDF or PDF / A. The compatibility is very good, but only the original application can support 100% of all specialties and details. So you want to play it safe, you should use MS Office as a converter. 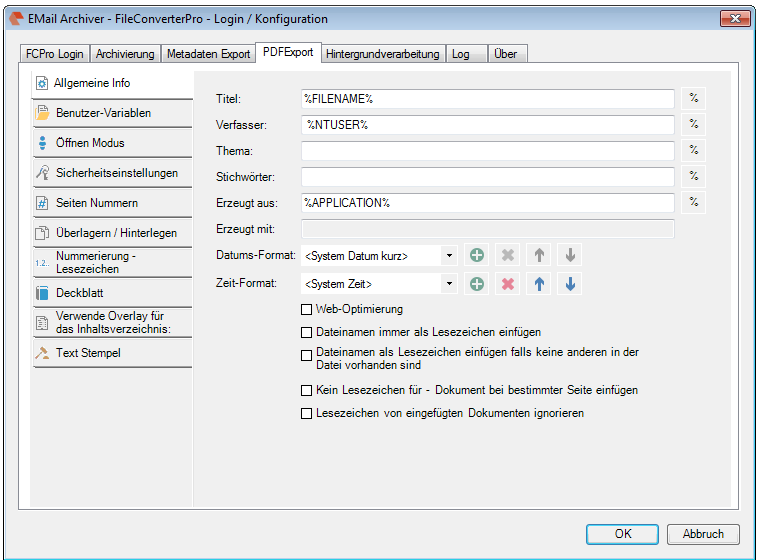 Hyphenation not installed – If an MS–Word document was created and formatted with hyphenation and that hyphenation is not installed as a MS–Office feature on the computer on which the FCPro PDF conversion will run – so there is no hyphenation, and the PDF document can thus show another formatting and page breaks. You can recognize that by trying to open such a document on the FCPro computer via MS Word. Here a warning is displayed with the prompt to install the hyphenation. 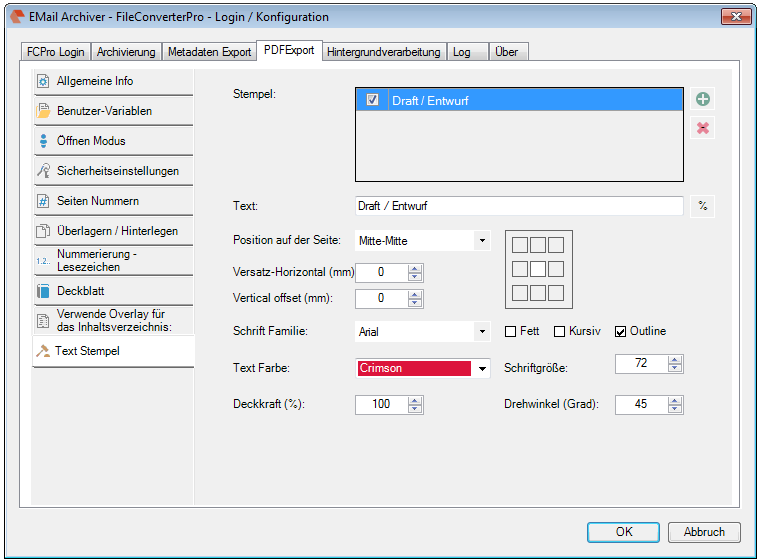 Fonts not installed or not embedded in MS–Word document – It must be ensured that the fonts used in the documents are also available on the computer on which the FCPro PDF conversion occurs. If not installed fonts are used, substitute fonts are used, which are similar. This may fit, but can also lead to changes in the layout and line and page breaks. So it must be ensured that either only standard fonts or if special fonts are used, these are available on the FCPro PC, or be embedded in the MS–Word document. The font display remains however only obtained if the appropriate fonts are not copyright protected. MS Word does not provide any error message if the embedding of fonts fails due to copyright problems. 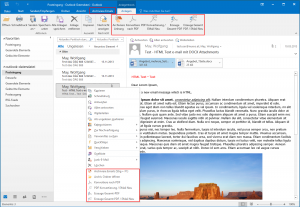 Recently, the new MS Office version 2016 is available. 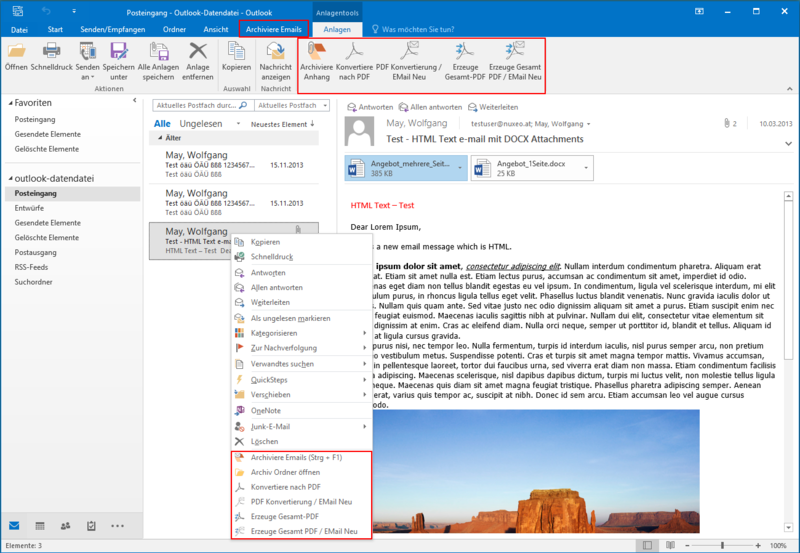 We have already successfully tested the latest version of our Email Archiver plugin for MS-Outlook of MS Office 2016 under Windows10. So the Email Archiver plugin can be used with MS Outlook versions 2007/2010/2013/2016. The file name for archiving / conversion of messages / attachments may be separately and independently configured for the folder of sent messages, as well as all other folders. Because the own email address can not be read from the sent email message, there is an option using the the% FROM% variable can be preassigned for the messages you send. 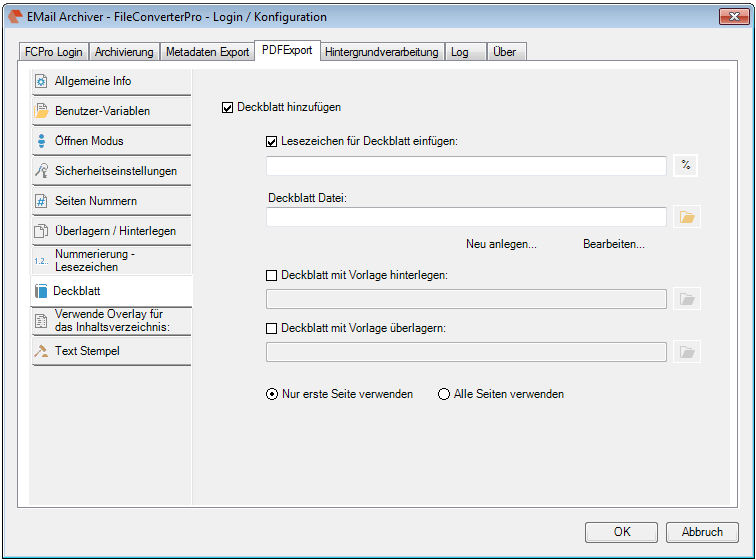 Customize User Interface – Using the configuration, it is now also possible to disable functions and buttons so that they are no longer displayed on the User Interface. 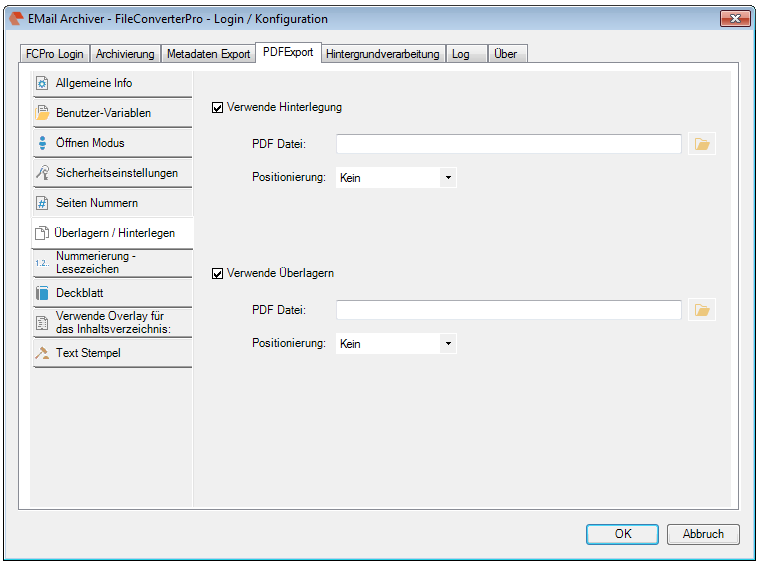 This allows that emails and attachments are limited only converted to PDF, but can not be archived. 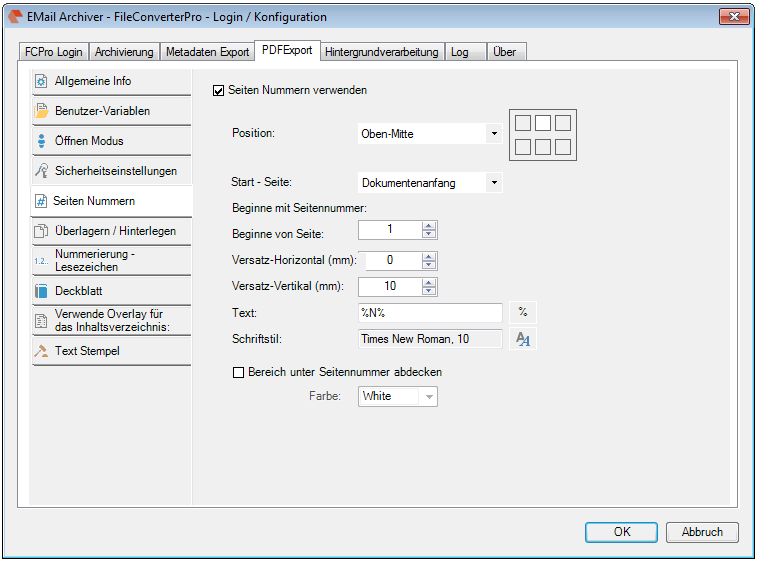 Profiles for PDF export settings – PDFExport Einstellungen provide plenty of additional functions, which can be applied to the generated PDFs. All settings can be managed via profiles and then saved, selected and activated as an entirety. Profiles can be created, copied, renamed, deleted, and imported and exported. There are many additional functions that can be applied to PDF’s. To use this again and again in all of our applications in the same fashion, we have summarized the functionality in a separate component. 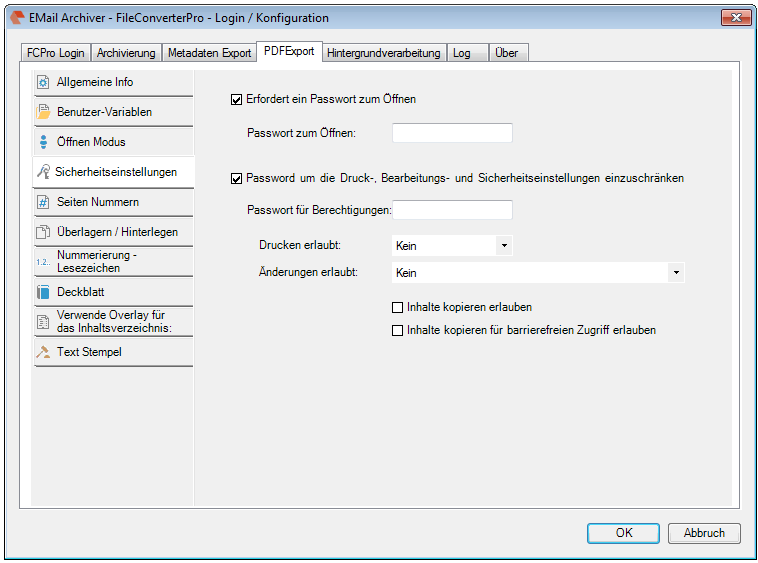 This we use in all our applications – FileConverterPro, Email Archiver, PDFMerge etc. The advantage is that additions and corrections need to be made in only one place and all new applications can be expanded quickly and easily with these functions. For all these functions, a separate editor is available to save all settings as “profiles”. These can then be selected and loaded by name. 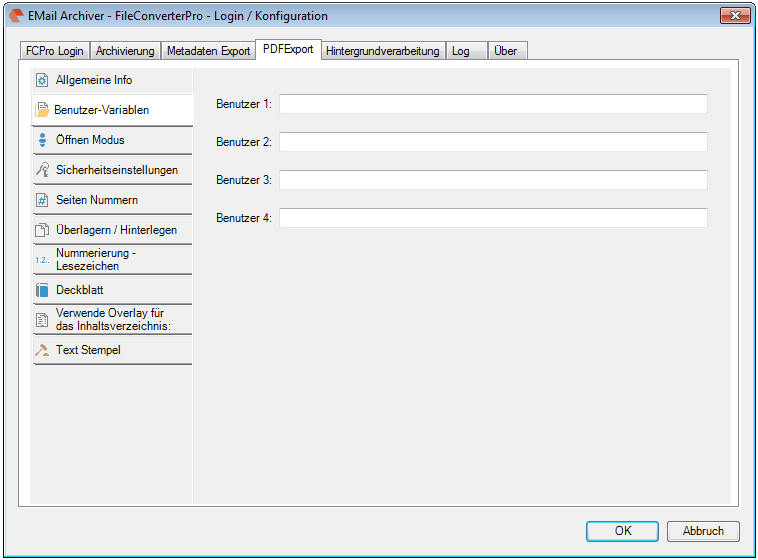 The PDF export settings are stored in a * .gfi (XML) file. However, there are also external PDF, DOC, DOCX files (eg for the stationery or the cover sheets). These settings will be referenced in the PDFExport. In the GFI file only the path is saved to these files. To transfer the complete information of the PDF export settings, including the required external files from one application to another or from the client to the server, we use a ZIP container. The ZIP container contains the GFI file and in the subdirectory – $ gfi_components $ – all external files referenced in the GFI file. To convert a document using the File Converter Pro Server, including individual PDFExport settings it is necessary to transfer this information from client to server FCPro. This is done via a zip file which contains both the GFI and all related files in the $ gfi_components $ subfolder along with the file to be converted. Recently, the new Ghostscript version 9.18 is available. We have now released a version 3.23.1 with eDocPrintPro which supports this new Ghostscript version and automatically downloads and installs on the setup.